You'll be £25.00 closer to your next £10.00 credit when you purchase Lieutenant General Sir Samuel Auchmuty 1756–1822. What's this? Samuel Auchmuty was born in New York in 1756. During the American Revolution his remained loyal to King George and he joined the British 45th Foot in 1777. After the war he remained in British service, campaigned in many parts of the world and rose through the ranks. Despite a varied and distinguished career he has not received the attention he warrants, neither as a Loyalist from New York, nor as a successful British soldier. Auchmuty served in India through the Second and Third Mysore Wars, the Rohilla War and a serious mutiny. 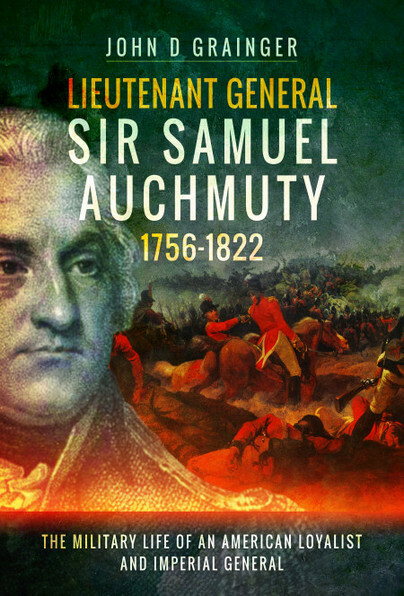 In 1798 Auchmuty was adjutant-general of the successful Red Sea campaign against French forces in Egypt. Returning to Britain in 1803 he commanded the defences in Thanet, East Kent, at the height of the French invasion threat. He was the only British commander to emerge from the River Plate campaign with credit, capturing Montevideo in 1807. In 1811 he commanded the land forces that captured Java from Franco-Dutch control. He ended his life as Commander-in-Chief, Ireland. John Grainger examines his part in events which shaped world history.